Quantum Metric can show a user visiting on a native iOS app, and then later on the website - all in one platform. See how each user experiences your app with Quantum Metric Mobile. By capturing how your app is navigated, you can finally answer questions such as "Is it going well?" and "Are they following the content as expected?" Capture each user's navigation, swipes, data entry, session and controller times and interactions. Remotely enable/disable capture of content for all users or remotely defined segments. When you need to see replay of specific users' experiences, you can replay real experiences of your app, with the industry's lowest overhead native session replay! "Focus on building your app. Quantum Metric Mobile will help maximize impact." Big Data can be overwhelming without the necessary analysis tools. Quantum Metric Mobile uses machine intelligence to help identify customer struggle patterns in your native app, without the need for tagging, coding, or deep analysis. Out of box, Quantum Metric Mobile will look for trends, poor performing web responses, crashes, and more to help you ensure great customer experiences. Quantum Metric Mobile can help identify patterns within your user segments. Find out how to increase in-app purchase conversions and increase user engagement. You can't analzye data you don't capture. But most analytics require tiresome tagging of every event in your code. Quantum Metric Mobile captures many events automatically, so you can easily analyze how users experience your app. 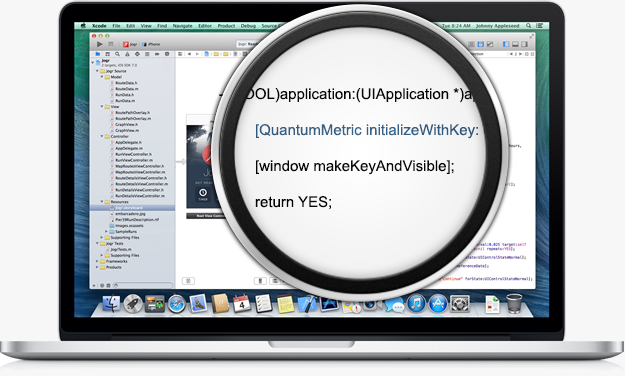 Quantum Metric Mobile's native iOS Library integrates simply with your existing app. Quantum Metric Mobile automatically captures the flow of your app, helping identify successful customer paths, and paths which lead to poor conversion. Quantum Metric Mobile automatically captures information on gestures, swipes, and taps, view controllers, view controller content, and hybrid views. Just drop the Quantum Metric Mobile library into your project and begin collecting analytics with just one line of code. Quantum Metric Mobile is carefully tuned to ensure very little CPU consumption and a minimal memory footprint. 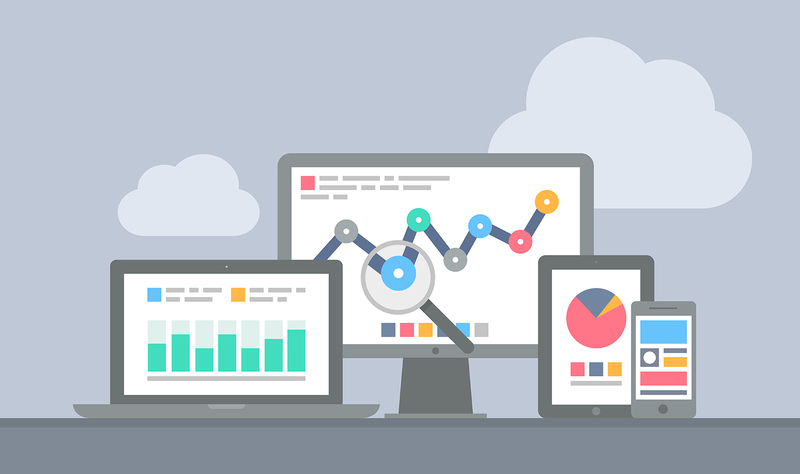 We leave the analysis and heavy lifting to our servers, so your application runs smoothly without interruption. The entire SDK is under 500kb. Even the best apps crash. But with your customer's mobile experience on the line, you need to rapidly turn around crash fixes. Crashes can be resolved faster with an accurate awareness of what led to the crash. Quantum Metric Mobile captures crash reports and all of the user actions leading to each crash, so you can prioritize and rapidly resolve application bugs. Have you ever had a crash log and struggled to understand what happened? Let Quantum Metric Mobile simplify bug fixing. After prioritizing bug fixes by affected user counts, Quantum Metric Mobile will allow you to walk through the user interactions along side each bug report. Using Quantum Metric Mobile's correlation engine, Quantum Metric will look at all crash reports and associated user interactions to help pin down what steps lead to a crash, so you can spend less time searching, and more time fixing.